Some of our readers will remember the wooden case for the iPhone from the guys over at Substrata. It looks like they are working on a new range of wooden cases for the new Apple iPad. The Substrata Wooden iPad cases, and they will come in a range of different wood finishes just like the iPhone versions. The Substrata Wooden iPad cases will give you full access to all the ports on the iPad and they will feature a microsuede lining to make sure your iPad is protected as well as magnetic latches and a range of different designs including a slip style case. 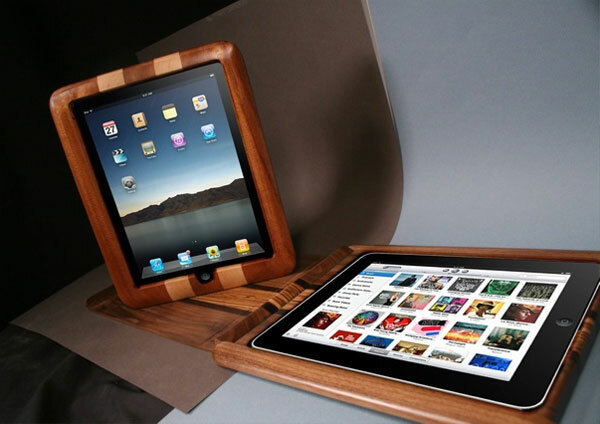 This new range of wooden cases for the Apple iPad will be available in June 2010, there are no details on pricing as yet.